Global Appeal for End of Ethnic Cleansing against Indigenous People of Chittagong Hill Tracts, Bangladesh. 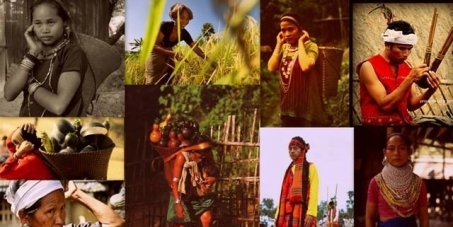 Chittagong Hill Tracts (CHT) in the Indian Sub-continent is the traditional homeland to the 11 ethnic groups who today collectively identify themselves to be an ‘indigenous people’, namely the ‘Jumma’. The British colonized CHT in 1860. With the end of the British colony, the Sub-continent was partitioned into the two nations—Islamic Republic of Pakistan and Secular Democratic Republic of India—in 1947 on the basis of religion. Pakistan was formed with the Muslim majority areas, while India with the non-Muslim majority areas. CHT with 98% non-Muslims (Buddhists, Hindus and Christians) was annexed with East Pakistan (now Bangladesh) in violation of the principle of the partition of the Sub-continent and without any consultation with the then leadership of the Jumma indigenous people! Such annexation is illegal, undemocratic and unfair. East Pakistan emerged as a nation, ‘Bangladesh’, in 1971 from the womb of Pakistan through a bloody civil war. Bangladesh has been pursuing a systematic ethnic cleansing policy against the indigenous people—for their being ‘different’ from the majority Bengali Muslims—through population transfer. It resulted in an alarming increase of Bengali Muslims from nearly 6% of the total CHT population in 1971 to over 65% in 2011. The successive Governments of Bangladesh perpetrated 13 major genocides against the indigenous people to pave the way for settlement of over a half million Bengali Muslim settlers in CHT in the 1980s and early 1990s. As a result, over 15,000 indigenous people were massacred, about 70,000 indigenous people were forced to cross over to India as refugees and hundreds of thousands of indigenous people were displaced internally. The ethnic cleansing against the indigenous people continues unabated till today without any attention of the international community. It is a silent genocide and a crime against humanity threatening the very existence of the indigenous people and jeopardizing the peace process started with the 1997 CHT Accord. 4. Justice with the victims of the genocides mentioned above. Image copy right : Proud to be Jumma Facebook Page.